Sir John Chilcot’s Iraq war inquiry report will not let former Prime Minister Tony Blair, former Foreign Secretary Jack Straw and other officials involved in the ill-fated 2003 invasion “off the hook,” a source close to the inquiry says. Chilcot is due to release his long-delayed report on the legality of the war on July 6, seven years after the inquiry was commissioned. The 2.6 million-word report is said to offer an “absolutely brutal” verdict and “damage reputations,” the Sunday Times quoted a senior source familiar with the report as saying. 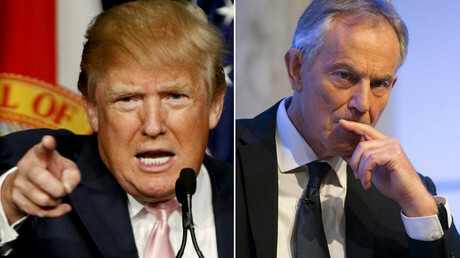 It is likely Blair will be found to have offered military support to then-US President George W. Bush a year before the 2003 invasion. The report will also likely accuse him of mishandling the war and the subsequent bloody occupation of Iraq, it was reported. Sir Richard Dearlove, a former head of MI6, will be criticized for not preventing Downing Street from putting out the infamous “dodgy dossier” about Saddam Hussein’s capacity to attack British targets within 45 minutes. Dearlove will also be blamed for not doing enough to stop the government from sprinkling “gloss” on intelligence memos about the alleged weapons of mass destruction. Jack Straw, foreign secretary at the time, will also come under heavy criticism, the source says. Straw is expected to be singled out for sending unsuitable people to Iraq to run its civilian administration in the aftermath of Saddam’s fall. “We sent in inexperienced people,” the Sunday Times’ source says. The original inquiry into the war was put together by Blair’s successor, Gordon Brown, in June 2009. The goal was to analyze events leading up to the 2003 invasion of Iraq. The Iraq Inquiry report was compiled with the help of over 150 witness testimonies, over 130 “sessions of oral evidence,” and 150,000 government documents. The accusations in the report will not be news to Blair, who was allowed to see the findings beforehand in order to prepare a response to the criticism. He offered an apology last year during an interview with CNN. 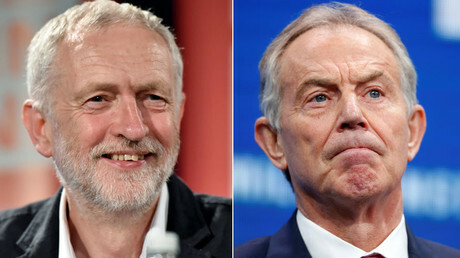 Meanwhile, opposition leader Jeremy Corbyn is prepared to call for a separate investigation into Blair for alleged war crimes during the Iraq war, the Independent reports. During the Labour leadership election Corbyn said he was convinced the Iraq war was illegal and that anyone who had committed a crime should be put on trial. “If [Tony Blair has] committed a war crime, yes. Everyone who’s committed a war crime should be [charged],” he said. “I think it was an illegal war, I’m confident about that, indeed Kofi Annan confirmed it was an illegal war, and therefore he has to explain to that. “Is he going to be tried for it, I don’t know. Could he be tried for it? Possibly,” Corbyn said.